Thank you for good relationship we have enjoyed in 2013. 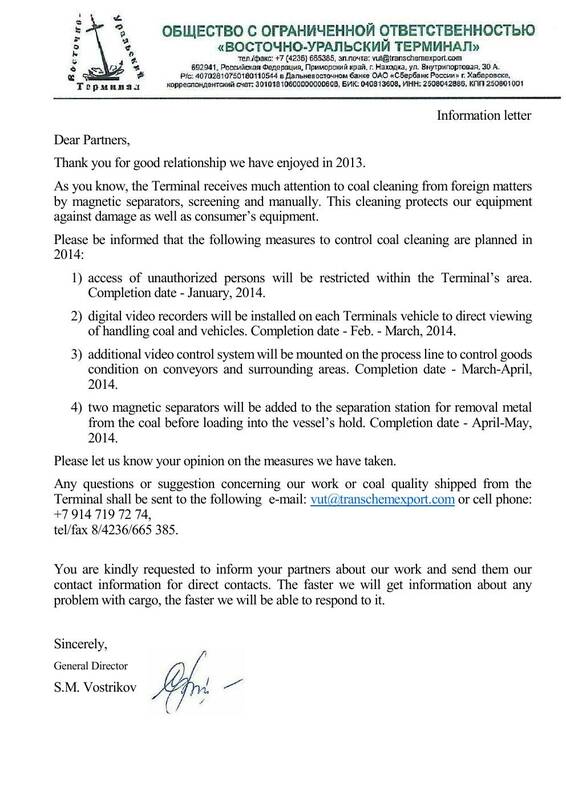 As you know, the Terminal receives much attention to coal cleaning from foreign matters by magnetic separators, screening and manually. This cleaning protects our equipment against damage as well as consumer’s equipment.